A three component, pourable epoxy resin system for use as a structural grout. 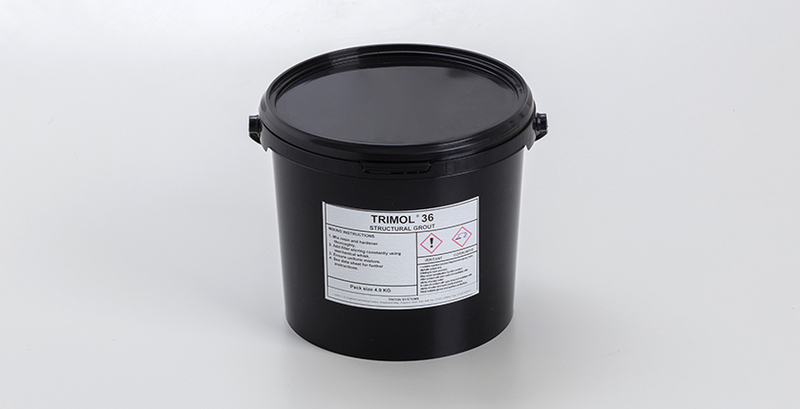 Cold or warm setting, Trimol 36 gives a structurally discreet back-fill, principally for timber repairs. The cured product creeps sufficiently under loading to accommodate movement in complex timber joints. A versatile product for site repairs to rotten, insect or fire damaged timbers and to remake joints or breaks. Recommended for use with Trimol 50 reinforcement rods. Supplied in 2.69 or 8.13 litre packs.